Allison and Michael had been planning a trip to Paris where she was sure he would propose to her. 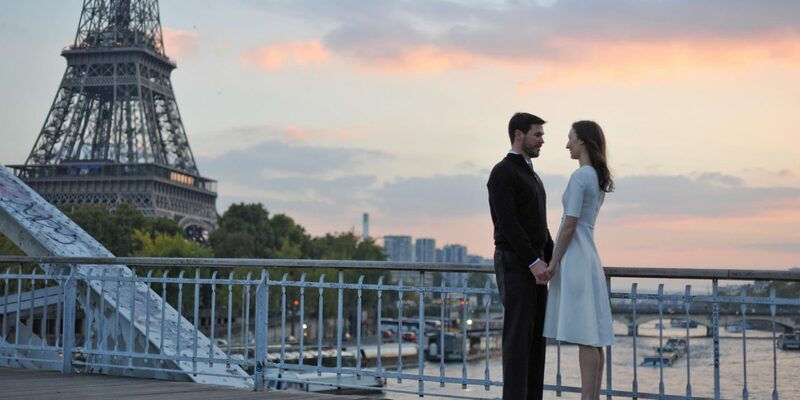 Instead, he took her by complete surprise and popped the question four weeks before their trip, so instead of proposal photos, they booked Flytographer Krystal for Parisian engagement photos. If you find yourself in Paris, pencil some time into your itinerary to spend at a sidewalk cafe. Bert’s Cafe Contemporain has plenty of sidewalk-facing outdoor seating perfect for sipping an espresso and people watching. Take a quick walk along the Seine from Bert’s, grab a baguette and some cheese at a shop along the way and have a picnic at Jardin des Tuileries, a massive garden that sits between the Louvre and Musee D’Orsay. Don’t forget the wine! And now you should be perfectly primed for some time at one of the museums or a walk to the Eiffel Tower. To get there, all you have to do is follow the river and enjoy the scenery. 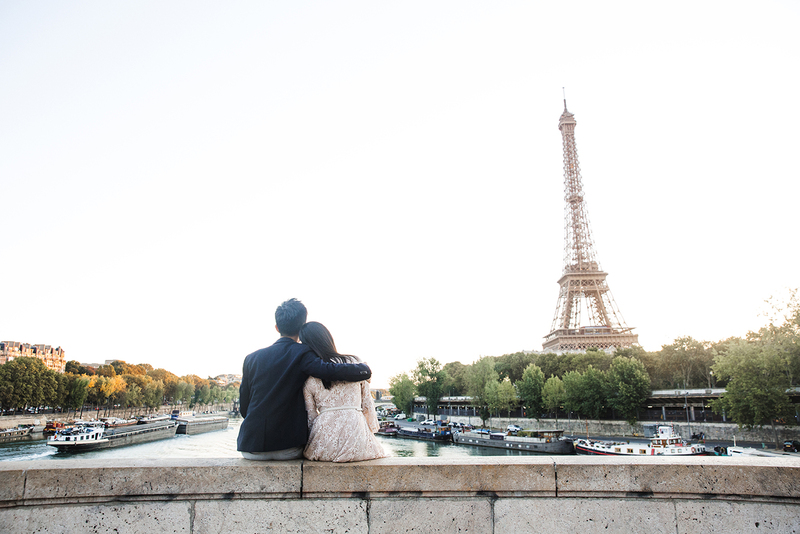 Michael and Allison knew they couldn’t find a more romantic spot than the Eiffel Tower, so they headed there with Krystal for a dreamy sunset engagement session. Ready to plan an unforgettable proposal?